Remember to "Spring Forward" on your clocks Saturday night. Lenten Worship and Supper: An opportunity to gather with brothers and sisters from all our island churches for a quiet evening worship followed by a simple soup and bread supper, 4:00 p.m. each Wednesday in Lent. Coffee's On! The next one is this Tuesday, March 6, from 9:30-11:30. Senior Coffee House is now being held at the MDI YWCA, 36 Mt. Desert Street, Bar Harbor. Our four Episcopal parishes will be hosting Coffee's On March 6th -- please let Joan Bromage know if you'd like to help, and/or donate a simple snack. Bring a friend and enjoy the refreshments, music and simply catching up with friends while making some new ones. If you need transportation, please call Doreen Willett with Island Connections at 288-4457, or Joan at 244-3227. Spring Benefit Dinner: Tuesday, March 20th at 6:00 p.m. at Sips in Southwest Harbor. Dinner will include Asparagus Soup, Teriyaki Salmon or Chicken Marbella, Berry Crisp or Lemon Mousse. Cost is $35 per person (includes tax and gratuity, bar not included); $15 goes directly to the Westside Food Pantry. Make your reservations by calling Sips at 244-4550. The Pantry will be open on Sundays, March 4, from 12:00-2:00 p.m. and March 18 from 12:00-1:00 p.m. In order to hear from as many people as possible in the Diocese of Maine, we invite you to take a short survey regarding our quest for the next Bishop of Maine. 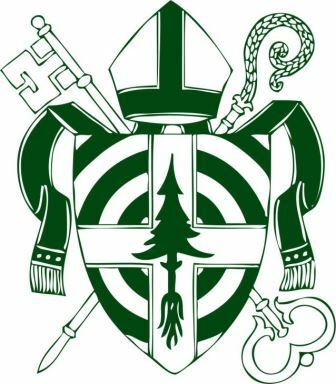 Your input will be very helpful to the Discernment Committee in articulating to prospective candidates who the people and congregations of the Diocese of Maine are and what type of person they are looking for to be their next Bishop. If you have any comments beyond the survey form, please send those to discernmentcommittee@ episcopalmaine.org . Thank you for taking the time to do this. The survey closes February 28. The Pantry will be open on Sunday, March 4, from 12:00-2:00 p.m.
Jim Risser, Justin Jimenez, Johannah Camber, Scott Hatcher, Jeff Weisner, Kent Shoemaker, Todd Lear, Anne Degolyer, Marilyn Kitler, Julia Moore Converse, Simone Foley, Ray McDonald, Janet Meryweather, Barbara Loveland, Win Short, Joan Preble, Nicole Burnett, Bob Theriault and Valeria, our sponsored child from Costa Rica.